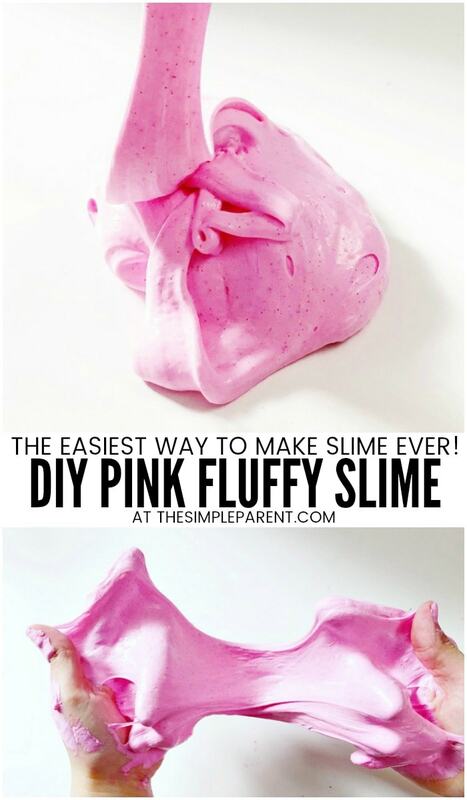 Home » Crafts & DIY » Pink Fluffy Slime That You Can’t Mess Up! We’re all about slime recipes that we can’t mess up! It’s why we love this pink fluffy slime! This is why we depend on this fluffy slime recipe in our house! And when a request for pink fluffy slime was made, I was more than happy to get my hands in the bowl! 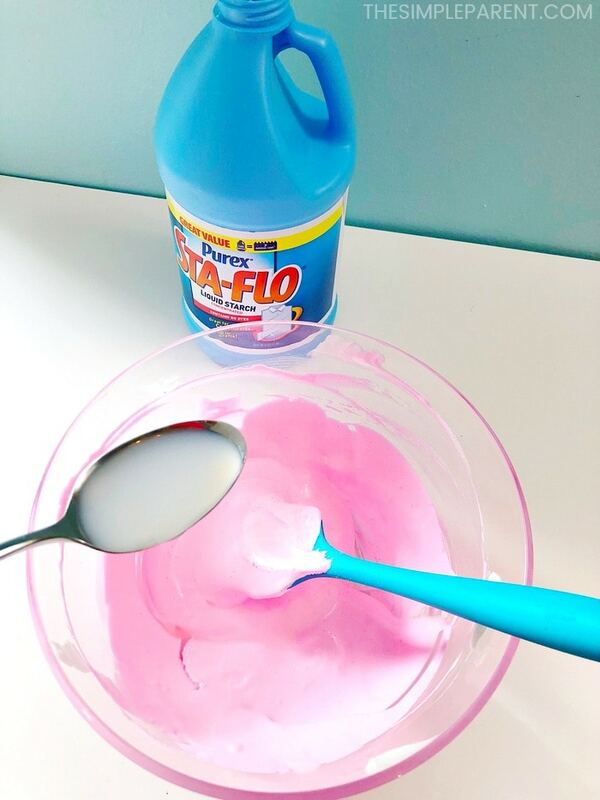 When people ask me for a homemade slime recipe that is simple to make, I always tell them about fluffy slime! 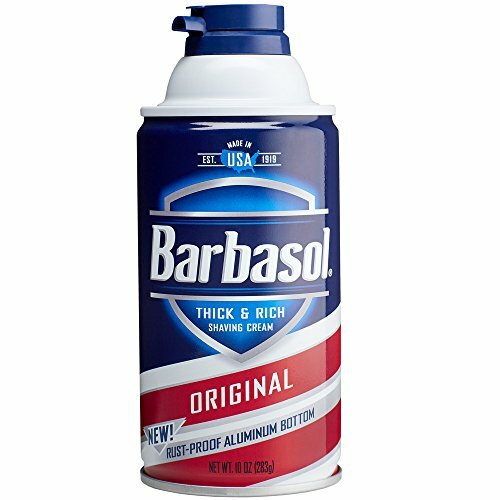 Personally, we avoid borax in our house so figuring out how to make fluffy slime without borax was key for me. 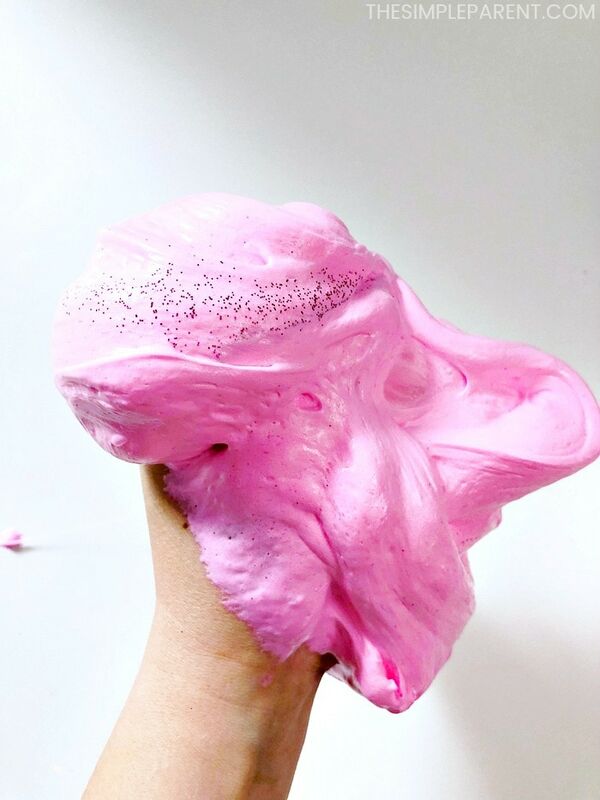 Our pink fluffy slime is not completely chemical free though. We do use liquid starch so it’s not something the kids do on their own. There is always an adult around to help out and we clean up very thoroughly when we’re done making slime. Everything gets disinfected and washed, including everyone’s hands when they’re done playing! I find the best fluffy slime recipe is based on three ingredients. We use them every single time when we want puffy slime that is super stretchy! 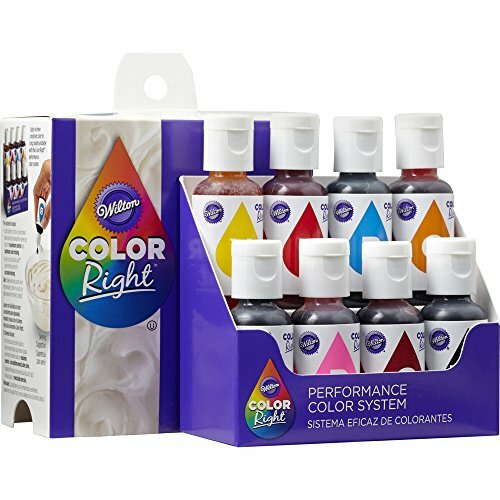 You can get everything you need on Amazon! That’s how we stay stocked up for slime making in our house! 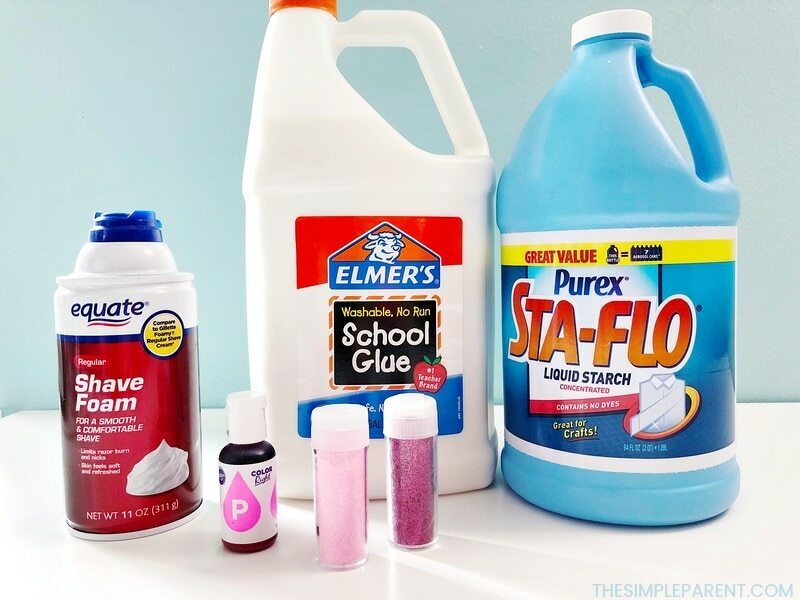 Those are the basic ingredients that you’ll need to make your own batch of pink fluffy slime! Depending on the size of the batch of slime you want to make, your measurements will vary. 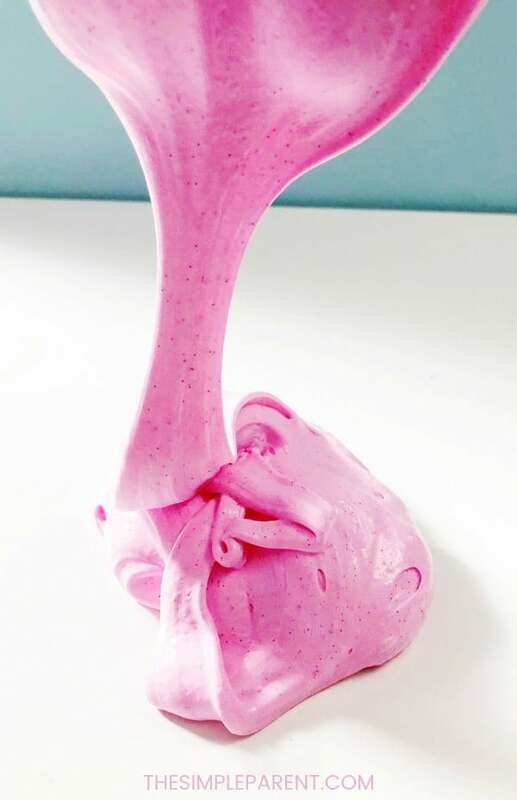 Just remember that this an easy slime recipe that is really really really hard to mess up! The amount of slime you get really depends mostly on the amount of glue and shaving cream you use. The shaving cream will add a bit more volume so you’ll get a bit more slime than the amount of glue and shaving cream that you use in the beginning. 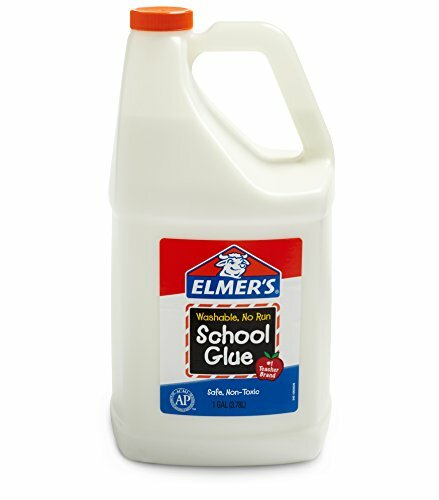 And don’t worry about adding too much glue! You really can’t go wrong with it. Now the liquid starch is another story. I have a few warnings about it in the directions! 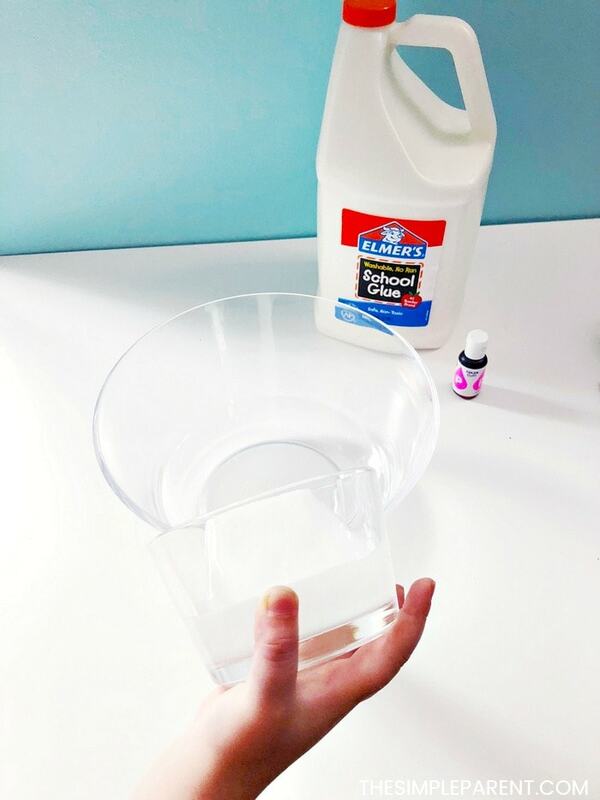 Are you ready for the easiest slime recipe ever? Add the shaving cream and a few drops of food coloring. Mix together. Add the liquid starch and stir. 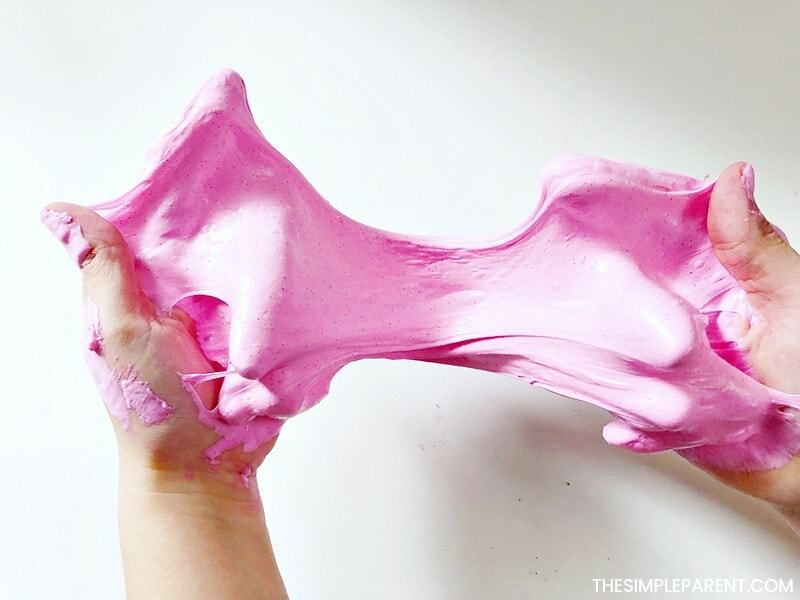 Knead slime until it doesn’t stick to your fingers. Have fun playing with your pink fluffy slime! 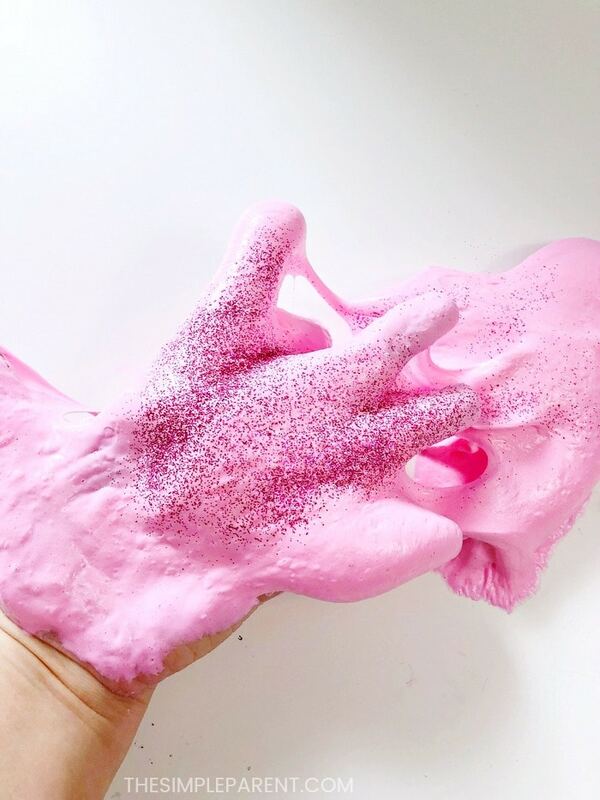 If you want to add sprinkles, glitter or sequins you can do that before you knead the slime or while you’re kneading it. It’s really that easy to make and there is just one step where it could all go wrong. But if you follow my advice you’ll have success every single time! It’s all about the liquid starch. When you’re adding the liquid starch in step three, add it very slowly. I usually only add a Tablespoon at a time and then stir. The slime will start to take shape and form pretty quickly once you add your liquid starch. But if you add too much of it, the slime will get really hard and not be great to play with. Once you’ve started kneading the fluffy slime, if it’s really sticking to your hands, put it back in the bowl and add a few drops of liquid starch. It will help reduce the stickiness! Just remember that you don’t want to add too much and end up with a pink fluffy slime rock. And yes, I share this from experience! 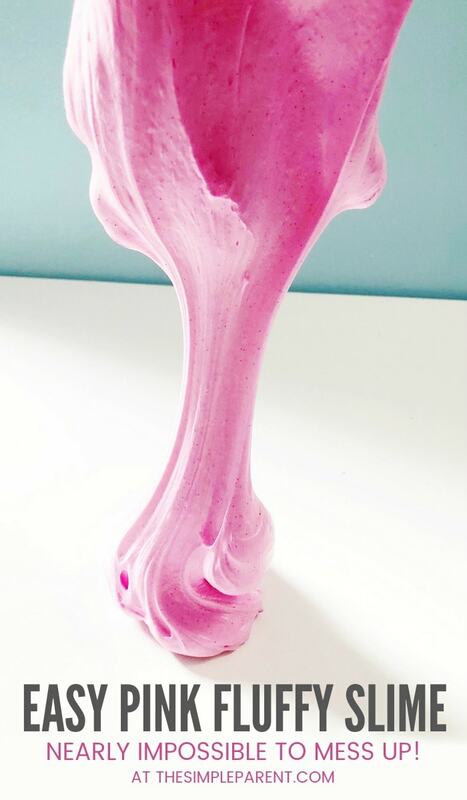 Pink fluffy slime is great for special occasions like Valentine’s Day, spring sensory activities or princess theme parties! But it’s also great for everyday play if pink is one of your child’s favorite colors. Or, in my case, one of my favorite colors! 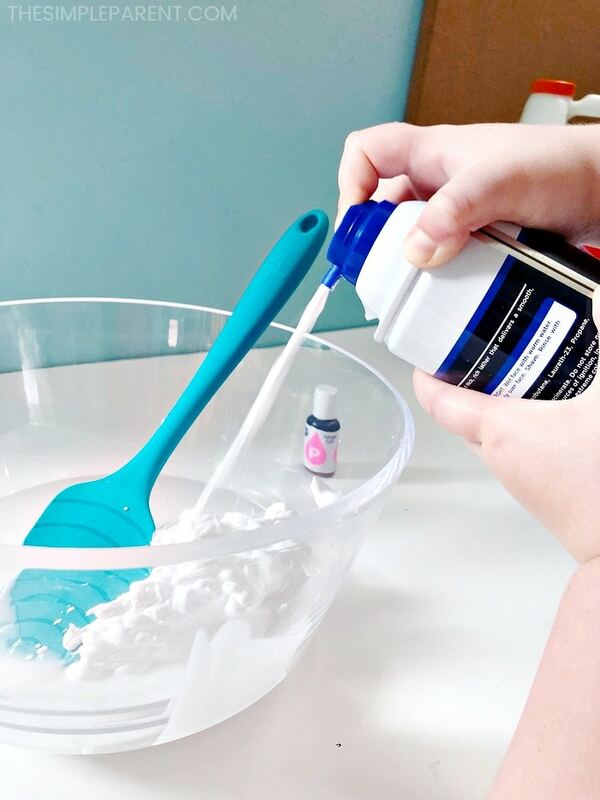 But if you want something that works well for ocean or winter themed play, you can also check out how easy it is to use this recipe to whip up a batch of blue fluffy slime too! « 3 Reasons You Need a Google Pixelbook for Your Family!